Caroline Russell AM has been pushing the Mayor of London to learn the lessons of the Olympics and use smart methods to help people reduce their car travel. Her work, including asking questions of the Mayor in a London Assembly meeting, and helping to bring a group of experts into City Hall to meet the Deputy Mayor for Transport, has won a signed commitment from Sadiq Khan to reduce traffic across London. These are vital steps to take. Reducing air pollution can’t only rely on cleaner vehicles, and boosting active ways of getting around such as walking and cycling helps to promote better health in many other ways too. Helping employers to encourage people to travel at times outside the morning and evening peaks, and to work at home more often, also helps cut congestion on the roads and overcrowding on public transport. Nearly two thirds of London travellers altered their usual behaviour during the Olympics by choosing not to make at least one journey they would usually make. 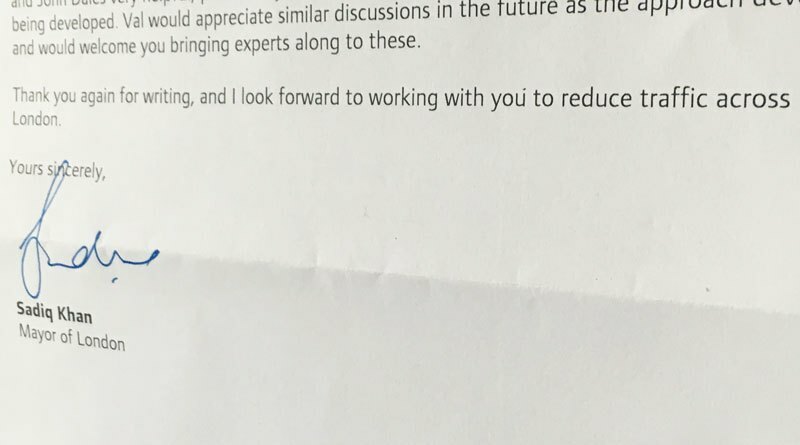 Following up on initial meetings with experts, the Mayor has written to Caroline thanking her and pledging to work further on reducing traffic in London – a significant step that will make a big difference if it’s followed up with effective, smart policies.